Romney and FEMA: Would Republican favor local approach? 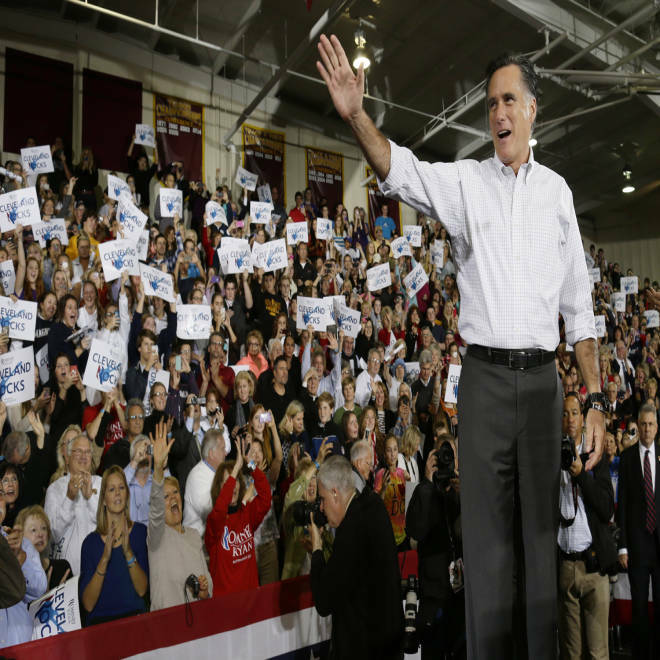 Republican presidential candidate Mitt Romney waves to supporters as he takes the stage at a campaign stop at Avon Lake High School in Avon Lake, Ohio, Oct. 29, 2012. Updated 4pm ET Many Americans have come to expect that when natural disaster strikes their hometown or state, the president will declare it a disaster area and federal dollars will soon arrive to help them rebuild their home or business. In 2005, President George W. Bush was pummeled with criticism after telling Federal Emergency Management Agency chief Michael Brown in the wake of Hurricane Katrina, “Brownie, you're doing a heck of a job,” even though some residents and local officials in the Gulf Coast states thought the federal effort was inadequate. 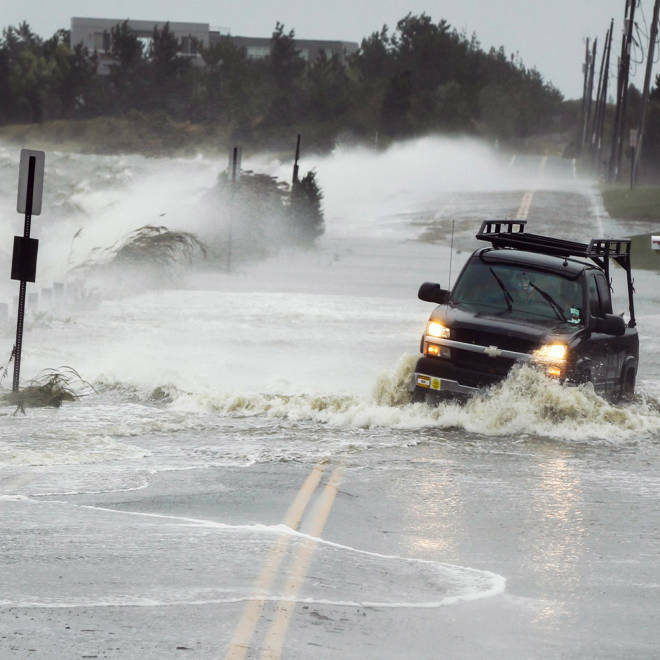 Given the politics of natural disasters, Hurricane Sandy might become an issue in the waning days of the 2012 campaign. The Daily Rundown's Chuck Todd reports with the latest. If Romney becomes president, will he attempt to cut funding for FEMA which sends money to states hit by natural disasters such as Hurricane Sandy? And if FEMA funding were reduced, would that mean reduced federal help for places hit by hurricanes, tornadoes , and earthquakes? Or would Congress find ways to re-route the money, given the political popularity of sending checks to people whose houses or businesses have been flooded? In the fiscal year which just ended, the federal government spent $10 billion on disaster relief and the Congressional Budget Office projects that it will spend roughly that amount every year for the next ten years. By comparison, the CBO forecasts that defense spending will be about $635 billion a year for the next few years and Social Security spending will amount to about $810 billion a year. Romney hasn’t specifically explained by what amount he’d try to cut FEMA funding, but he has set ambitious goals for reducing federal outlays other than on defense and entitlement programs. Romney has said he’d try to cut non-security discretionary spending by 5 percent in 2013 and bring total federal spending to below 20 percent of gross domestic product by the end of his first term. He has said on his campaign Website that he wants to see Congress enact the budget plan which the House passed last March but which the Senate rejected. That budget blueprint called for greater efficiency in disaster relief spending. There are eight days before election day, but there may be even fewer campaign days left as Hurricane Sandy causes problems with campaign travel. NBC's Chuck Todd reports on the changes to both candidates' plans. The GOP plan argues that the Obama administration has been too liberal in its use of taxpayer funds by labeling too many events as disasters worthy of federal money. Congress must try to “increase transparency in the way that disaster declaration decisions are made,” the report said, which seems to imply that some disaster declarations are not made for legitimate reasons but rather because a powerful member of Congress or governor is able to persuade the president to send federal money.